The Karcher Jarvis Series is a complete solution for quick, streak-free cleaning of businesses’ entrances, parking lots, tennis courts, pool decks and sidewalks. This easy to use cold water surface cleaner pressure washer is an all-in-one unit with the pump and engine attached to the surface cleaner, and it is designed to attack the superficial dirt sweeping alone does not get. 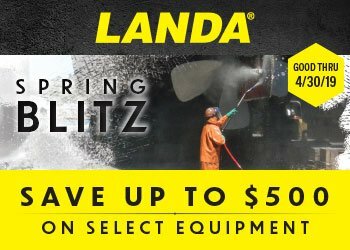 The Karcher Jarvis Series surface cleaner pressure washer is perfect for all operators – simple on/off operation, flat free tires and a folding handle for easy transport and storage. 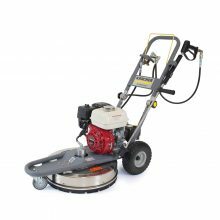 This easy to use cold water surface cleaner pressure washer is an all-in-one unit with the pump and engine attached to the surface cleaner, and it is designed to attack the superficial dirt sweeping alone does not get.